It may be the most popular browser in the world, but even some at Microsoft still hate Internet Explorer. The name, that is. 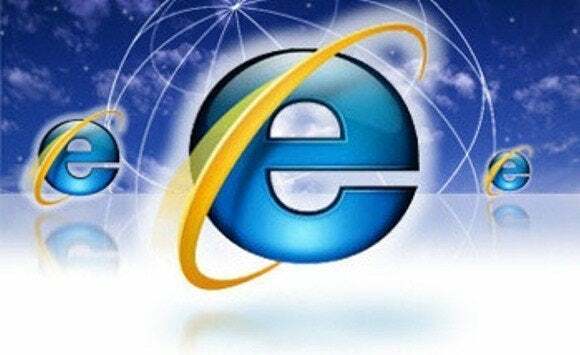 According to an "Ask Me Anything" session on Reddit, members of the Internet Explorer development team debated renaming the venerable browser, presumably in an effort to eliminate any distaste from the software's earliest days. "It's been suggested internally; I remember a particularly long email thread where numerous people were passionately debating it," Microsoft's Jonathan Sampson, wrote. "Plenty of ideas get kicked around about how we can separate ourselves from negative perceptions that no longer reflect our product today." "The discussion I recall seeing was a very recent one (just a few weeks ago)," Sampson added. "Who knows what the future holds :)"
For the last few years, Microsoft has tried to separate the modern version of Internet Explorer from its legacy: a relatively slow, insecure browser saddled with proprietary features. According to Net Applications, Internet Explorer as a whole commanded 58.01 percent of the desktop browser market, a level that it has maintained for several years. The problem is that most popular browser version, period, is IE8, at 21.56 percent. IE8 was the default browser that shipped with Windows 7, although Microsoft has shipped a version of IE11, its most recent release, for that OS. Microsoft has long argued, correctly, that more modern browser releases are more stable, offer better performance, and support more open standards than earlier releases. Meanwhile, Microsoft's marketing department has been busy making whimsical videos and establishing Web sites, such as browseryoulovedtohate.com, that poke fun at the older code. 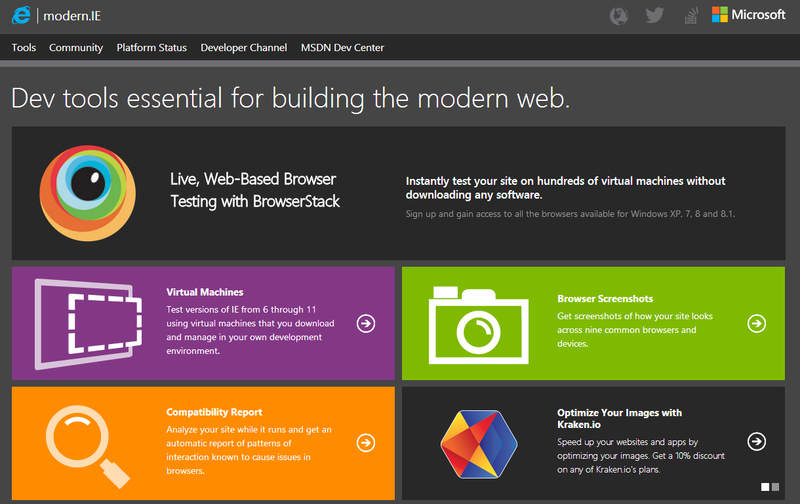 Modern.ie, the front line of Microsoft's efforts to win over Web developers. "This is something we've been actively doing for some time now," Sampson noted. "Each successive release of Internet Explorer has seen more and more adoption of existing web-standards." Microsoft's IE team works with Google, Apple, and Mozilla on developing new standards for driving the web forward, he added. Members of the IE team also said that they hope to improve extensions for the browser, putting them on a par with Mozilla Firefox and Chrome. The "Modern" or Metro version of IE doesn't permit extensions, period. For now, however, they're busy ensuring that IE extensions for the Windows 8 desktop don't themselves contain any security vulnerabilities that could imperil IE and its users. "We're still looking into this and haven't completed our plans, so it's still too soon to project whether we'll invest here," Jacob Rossi, a program manager for Internet Explorer, added. "But definitely on our radar (and has been for previous releases)." But don't expect a Mac version of IE anytime soon. "We don't have plans for that at this time, " Rossi added. Instead, Microsoft has been busy developing sites like modern.ie and provided free virtual machines support to allow Macs to test sites on Internet Explorer without needing to run a native Mac version of Internet Explorer, he said.